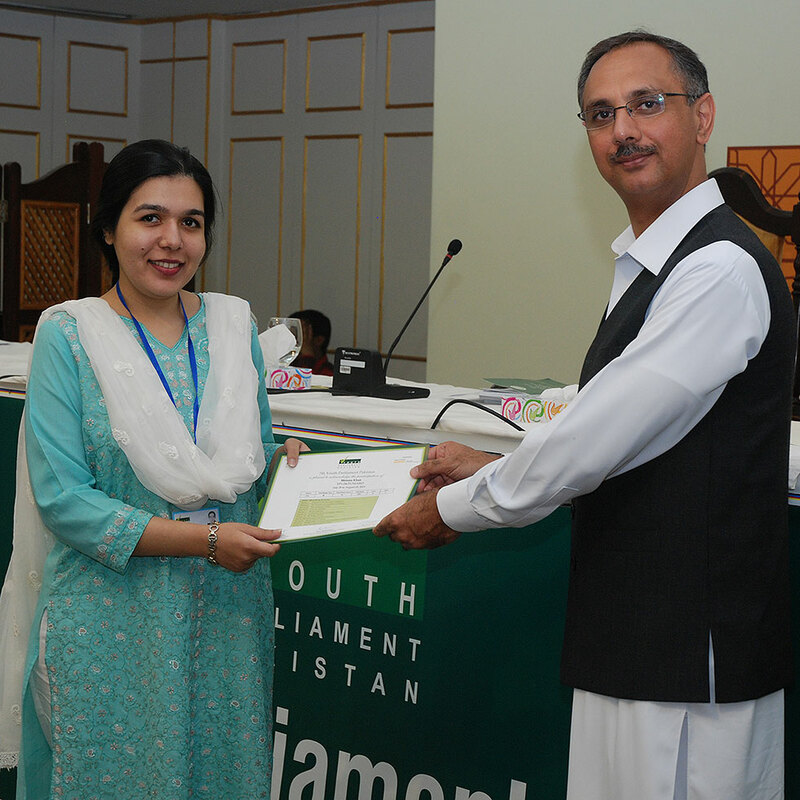 August 02, Islamabad; On the last day of the first session of 7th Youth Parliament Pakistan Youth Standing Committees presented and defended their Committee Reports in front of the panel of experts. The panel included: Dr. Shoaib Suddle, Former I.G. Sindh, Mr. Nohman Ishtiaq, Public Finance Expert and Ms. Aasiya Riaz, Joint Director PILDAT. 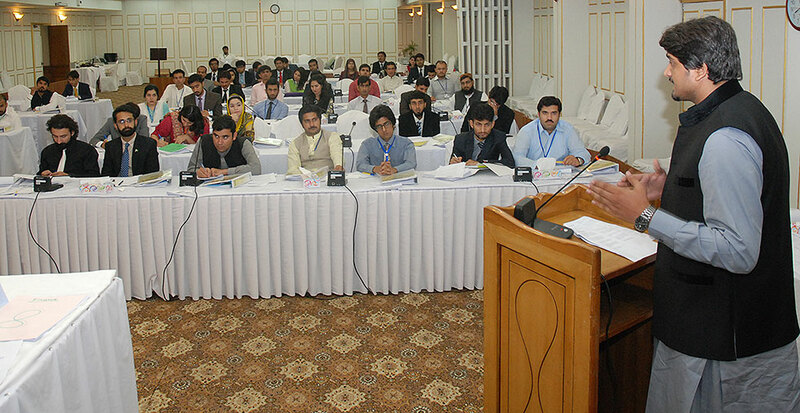 The panel posed tough questions to the Members of Youth Parliament Pakistan of respective Youth Standing Committees. The panel evaluated the policy paper of the respective Committees and the Youth Standing Committee on National Security & Foreign Affairs secured the highest marks. The day concluded with a talk by Mr. Omar Ayub Khan, Former State Minister Finance on the “Entry and Advancement in Politics”. He explained the importance of being a part of the political process by joining political parties. He shared a hand written note by the Quaid e Azam Mohammad Ali Jinnah with the young Parliamentarians, which said that the presidential form of Government was the preferred system for Pakistan.